It is nice to be proven wrong sometimes. 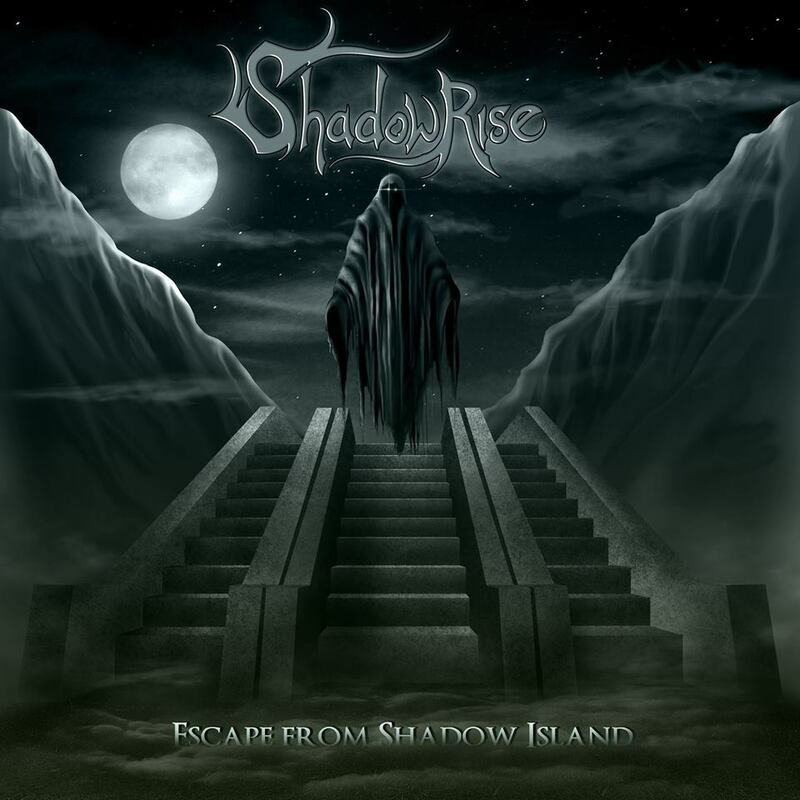 I was somewhat nervous when Escape From Shadow Island, the debut EP from Dutch Power Metal troop Shadowrise, appeared on my virtual desk. Not being a particular aficionado of the genre in which the quintet find themselves (save for the entertaining cheesiness of acts such as Avantasia, Rhapsody and Blind Guardian) I was all too ready to dismiss out of hand. Though by the end of my first listen through this 20-minute release my nerves had turned to joy, and thoughts disregarding Escape From Shadow Island went out the window. 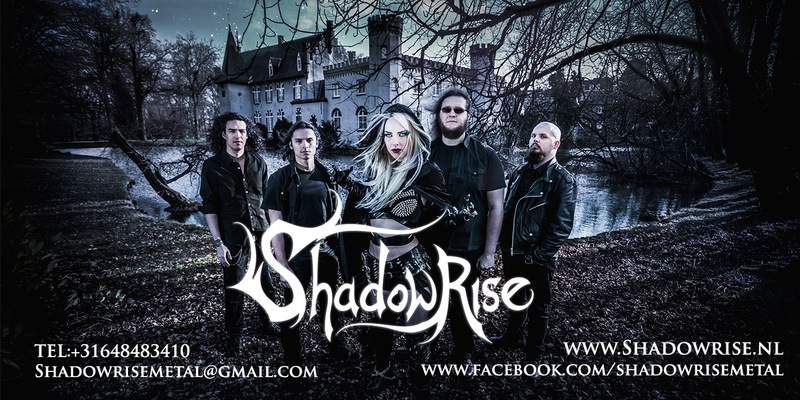 Shadowrise certainly play Power Metal, but their sound takes much from other, ballsier genres to create an engaging fusion, bringing and appealing freshness to the standard genre formula. Death Metal style riffs and a heavier production style give this EP a level of depth when combined with the hyper-melodic trappings of its Power Metal base. Being able to switch between two polar opposite styles; melody and brutality, it allows each to be used without becoming stale. The comparative opposition of these styles gives each more impact, heavy riffs sound chunkier and melodic passages hold more epic, narrative qualities when played off each other. It would be oh so easy for such a contrast to cause aural whiplash, but dual axemen by Roman Potasse and Daniel Boomsma, bassist Yordi Florax and skinsman Joris Sevat are able to go from mind-blowingly technical and incredible melodic passages to crushing brutality with ease. This theme of dark and light continues in the styles of the two vocalists; Laura Guldemond and Roman Potasse. Laura could be considered the front of Shadowrise, her soaring operatic vocals fitting the Power Metal blueprint rather aptly while Roman takes up a more secondary vocal position as the injector vocal grit; throwing his guttural snarls into the mix and complementing Laura’s angelic vocal style well. While this is not the most unique of matches, the quick back and forth between the two vocalists keeps the tracks moving forward, never holding in place long enough to overstay their welcome. While the blueprint of aural angel meets sonic demon is far from the most original angle for Power Metal to take, Shadowrise performs it with such relentless, yet effortless, style and confidence that this barely matters. If like me, you’re not completely sold on the whole idea of unabated cheese or are looking for a band that keeps the balls in the genre then Shadowrise have you covered. So why not take it a spin, escape from the darkness of a world without this release into the lightness of a world with it. Escape From Shadow Island is available now via Bandcamp and iTunes.